Some advanced procedures, such as dental implants and complex extractions, require the expertise of an oral surgeon. When a patient needs oral surgery, they can turn to Advanced & Comfort Dentistry in Whitehall, Pennsylvania, for treatment by our team of doctors and clinicians. Learn more about oral surgery procedures by calling the practice, or schedule an appointment online. When do I need oral surgery? Who performs oral surgery at the practice? All three doctors at Advanced & Comfort Dentistry are highly trained and certified to perform different oral surgery procedures. 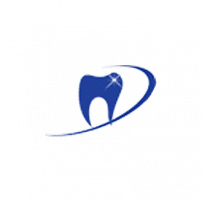 Dr. K. Mohan is proficient in extractions and operative dentistry, while Dr. Krishna Adusumilli has extensive experience in oral surgery and root canal treatment. Dr. Dilip Dudhat has performed thousands of dental implant procedures. You can trust you will be in good hands if you need any type of surgical procedure. What types of oral surgery procedures do they perform? However, the office does not take on re-treatment or botched treatment cases but may be able to recommend an outside specialist. Tooth extractions will not cause excessive pain after the anesthetic has worn off. The doctors will provide post-procedure instructions to keep the treatment area clean and free of infection. You might have to limit the types of foods you eat as the tissues heal, but most patients return to normal eating within a week after the procedure. Unless you are having some teeth extracted beforehand, the recovery time for a dentures procedure is minimal. You might experience minor discomfort as the new set of dentures are fitted and settle in place, but most people get used to wearing them within days of the fitting. Dental implant recovery is usually similar to the recovery after a tooth extraction. The area will feel sore and tender for about a week after the procedure, but you should be able to eat your favorite foods again by that time. Learn more about oral surgery procedures and what to expect with treatment by calling the practice, or schedule your appointment online.